Site clearance can be the crucial first step in any building or landscaping project. Indeed woodland, scrub, brown field and derelict sites all pose their own challenges. Our non hazardous site clearing services meet the tightest deadlines and include the filling in of ditches and levelling of the area as well as the removal of walls, hedges, trees and other vegetation. It can also involve the removal of fly-tipped materials. Working in a thorough and cost effective way, we additionally undertake the removal of invasive weeds such as Japanese Knotweed, which can be a serious problem to developers. Planning permission can be refused without an eradication programme in place for the infestation. We are able to quickly and efficiently remove trees and stumps leaving a blank canvas for property development. The high standard of our technical work is underpinned by the fact that all of our operatives carry relevant certification in chainsaw & related operations. 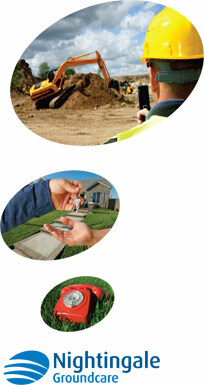 We are fully versed with Health and Safety requirements and carry appropriate insurance. Since, mature trees can add amenity value to a proposed building plot so we can undertake tree surveys and tree reports prior to site clearance and advise on trees to be retained. We can then work with you on protecting trees not being cleared as part of the site redevelopment, advise as to what materials to use and provide on-site attendance to supervise root protection during clearance and construction work. We are happy to complement the finished show house or development with our landscaping services. For more information about our site clearance services please telephone 01794 323606 or e-mail us via info@nightingalegroundcare.co.uk.